Triumphant Grace Academy (TGA) began in 2015 with 42 children in our first Early Childhood Development (ECD) program. ECD in Kenya usually consists of three classes, Baby Class, Middle Class & Top Class. At the end of 2015, we graduated 17 children from our TopClass to Grade 1. Of the three feeder schools in our area, TGA placed the #1 top ranked student in two of the three schools! In 2016, we began our first Grade 1 with 15 children. Then, in 2017, we prayerfully began Grade 2 as those same 15 children advanced. Now, 2019 we continue only because God has been faithful with the addition of Grades 3 & 4. 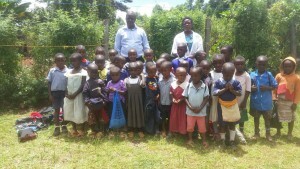 Now a total of 90 precious children in our ECD – Grade 4 classes. Your sponsorship provides everything your child will need such as their uniform, books, supplies, exam papers, a meal at school, superior teaching and lots of love. 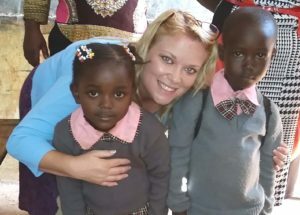 Sponsor a child by providing a school uniforms for a one time gift of $25. Uniforms are mandatory in Kenya.